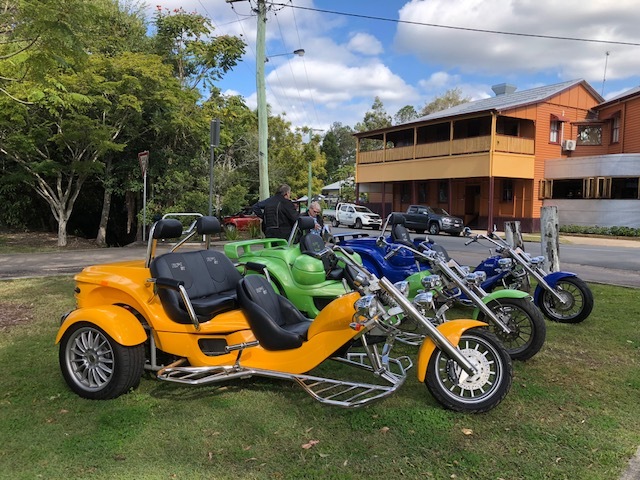 Horizon Trike Tours offers 3-wheeling adventures through the idyllic coastal villages of the Sunshine Coast from Caloundra to Noosa, and the scenic hinterland from Mapleton to Maleny, Kenilworth, Imbil and beyond. Trikes are a safe and comfortable way to tour winding country roads. Elevated passenger seats provided unimpeded views of the landscape. Sit back and enjoy chauffeur-driven 3-wheeling luxury. Horizon Trike Tours options include custom-designed tours especially for you or you may choose from our suggested tour itineraries outlined below. Want to wish someone Happy Birthday, Congratulations, Merry Christmas or just say, Thanks? We can keep a secret and we LOVE surprises. 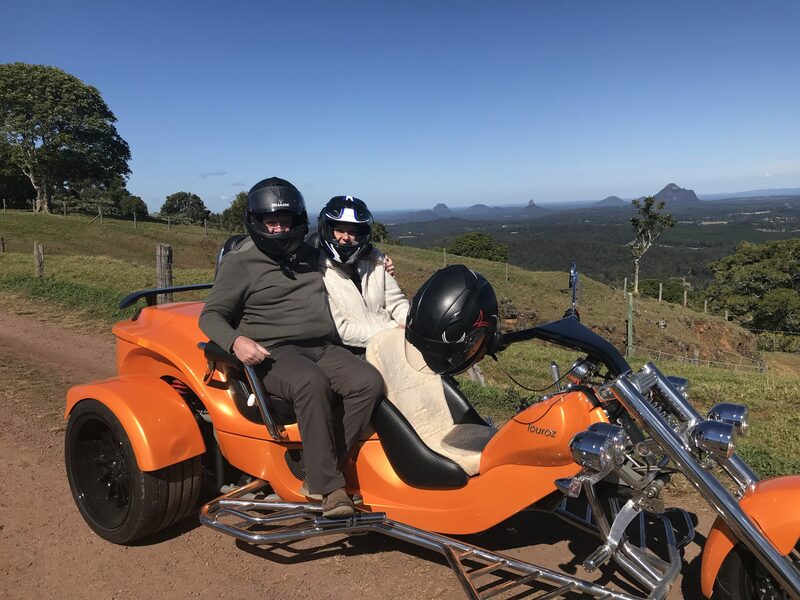 Let us know how we can create a surprise Horizon Trike Tour for someone special with a custom tour or choose from our suggested itineraries. From Nambour we’ll wind our way up the range and experience the very scenic climb to Dulong Lookout. After a few happy snaps we’ll be on our way to Mapleton, the bustling hinterland town that sits atop the Blackall Range. Our Route will take us through Flaxton and Montville, and if you wish, we can stop and shop a little. Then on to Maleny for a coffee and a light snack. From here our tour takes in the specular views of the Glass House Mountains before we say good bye to the range and heading back home. Picture this… a gorgeous sun-kissed day on the back of a luxury 3-wheeler cruising along coastal roads that offer up a world class vista of golden sand and sparkling blue ocean. 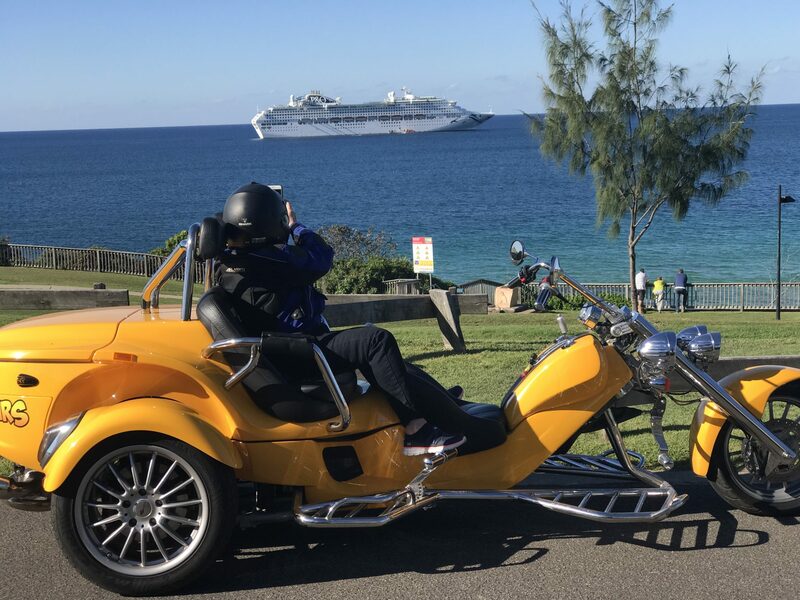 Coastal cruises can be customised – cruise Caloundra to Noosa or choose sections in between – it’s a big, beautiful drive with plenty of scenic stops that we’re sure you’ll enjoy. Gift Vouchers are available and valid for 6 months from date of purchase. Bookings are required. However, if it’s a spur of the moment decision, please give us a call. We love to tour, so if we can fit you in, we will. To book, please complete the booking form. For further information please call us on 0411 602 048.